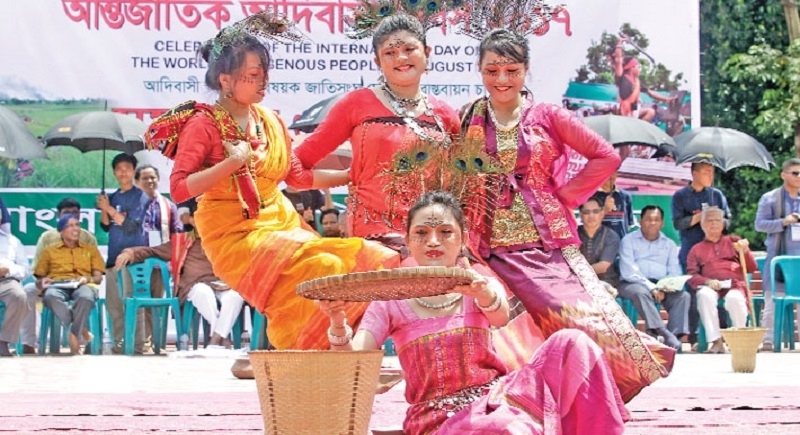 August 9 is observed world over as the International Day of the Indigenous Peoples. It is promoted by the United Nations and is also known as ‘First People’s Day, National Indigenous People’s Day, Native American Day etc. in different countries across the globe. 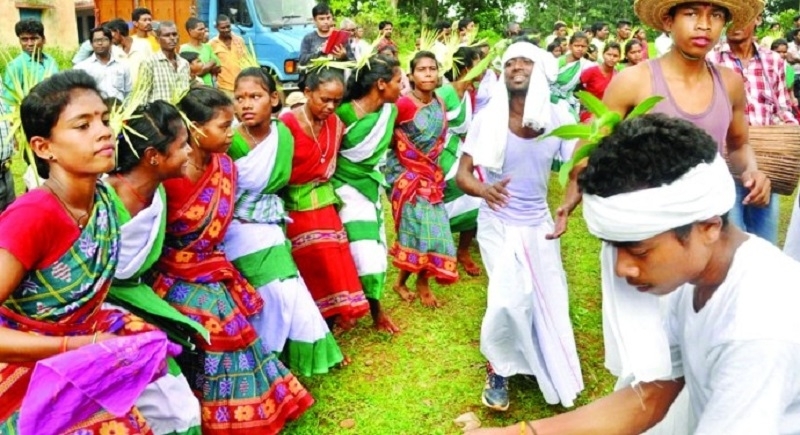 In India it is known and celebrated as ‘Adivasi Diwas’. In the US this day is dedicated to the native indigenous Americans, in Australia it is about the ‘Aboriginals’, in Brazil it covers the Indian People and so on. It began basically in the US where the people celebrated the indigenous peoples of America first time on October 12, 1992. We all know that Columbus discovered the Americas and the Spaniards who came in waves in search of gold and other riches used all tactics to eliminate the overtake the indigenous people here. They used to celebrate the ‘Columbus Day’ in honour of Christopher Columbus who opened the continents of America to the European colonizers. The Indigenous People’s Day is celebrated by the Native Americans as counter to the Columbus Day by sharing their rich history and cultural heritage. Coinciding 500th anniversary of Columbus’ arrival in 1492, this day was first celebrated on October 12, 1992 in California and later spread to other states and countries like Canada that celebrates this day as National Indigenous People’s Day. 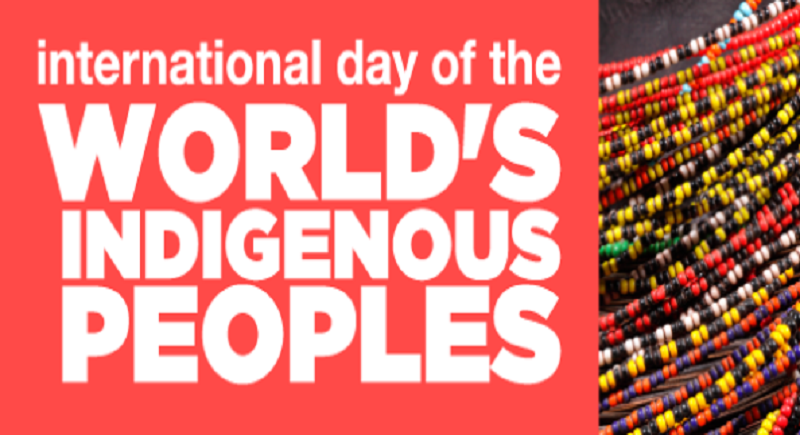 Later the United Nations has declared August 9 as International Day of the World’s Indigenous Peoples. According to the UN statistics there are 370 million indigenous people in the world spread across 90 countries making up less than 5 per cent of the world’s total population. But they account for 15 percent of the poorest among the global population. They speak an estimated 7000 languages and represent 5000 different cultures. The UN Secretary General António Guterres in his message on this day called for “fully realising the UN Declaration on the Rights of Indigenous Peoples, including the rights to self-determination and to traditional lands, territories and resources”. The UN theme for this year’s International Day of the Indigenous Peoples is “Indigenous peoples’ migration and movement”. The UN is of the view that the indigenous peoples in different parts of the world have been practising their unique cultures and traditions related to environment and people. They have preserved their social, cultural, economic and political characteristics that are distinct from the dominant societies in which they live. But with the loss of their lands, loss of culture due to aggression from the civilized world, they are demanding some kind of protection and recognition to their identities, way of life and right to traditional lands, territories and resources. They are the most disadvantaged and vulnerable group of peoples today in the world. In India we have 705 ethnic groups officially recognized as ‘Scheduled Tribes” in addition to several others that are not recognized as STs officially. Their population is mostly concentrated in some states of the Indian Union such as Madhya Pradesh, Chhattisgarh, Odisha in Central India, North-eastern states, Himachal Pradesh, J & K, Rajasthan, Gujarat, Kerala, Tamil Nadu, Karnataka, Andhra Pradesh etc. Before the advent of the British people, these ST or indigenous peoples were living in perfect harmony with the rest of the society. Even they played active role in the administration of law and justice at the village level. In those times the village panchayat had five members and the fifth one was invariably from the ‘Nishad’ community. It was the British who actually separated these ‘vanvasis’ as ‘animists’ and ‘nature worshiper’ from the Hindu society and later forbid the Hindus to mix and mingle with them but allowed the Christian Missionaries to freely mix with them with a view to converting them to the Christian fold. This continued for years and today we have the numerous movements dominated by separatist ideologies active among these people who once formed an inseparable part of the greater Hindu society. The minds and hearts of these nature-loving communities and groups were filled with hatred, jealousy and enmity by the Christian Missionaries and various Church organizations in addition to the Communist outfits that polluted their minds to the extent that they raised a banner of revolt against the government of India after independence in various sensitive parts of the country. Today’s Maoism or Left Wing Extremism (LWE) is just one dimension of this poisonous propaganda unleashed by these elements in the name of ‘service to poor and neglected’ in the name of Jesus the Christ. India however, accepted the UN Declaration on Indigenous Peoples on once condition that after independence there are no indigenous peoples in India and all are INDIANS governed by the one Constitution and one Law. But the various missionary outfits, NGOs, Church-sponsored communities, LWE supported groups are still professing this separatist ideology and branding the ST people as indigenous people of India and painting the rest of Hindu society as their enemies. These organizations raise the issues of human rights violation, land rights, jal, jungle, jameen and jaanwar (water, forest, land and animals) and instigate these people to take up even arms against the government. The foreign vested interests that does not want India to become a superpower in the world support these movements and the NGOs to build, nurture and concentrate such movements against the Hindu society and the government of India. For these organizations this UN sponsored International Day of the Indigenous Peoples has come handy to further their divisive agenda forcefully. They are celebrating this day with more vigour since the BJP-NDA assumed power of the country with Narendra Modi as Prime Minister. They are more disturbed with the government stopping grants and donations to most of the NGOs run by them. They are receiving maximum publicity also through the media in these years which was not visible during the Congress rule. The British conspiracy of ‘divide and rule’ was converted into ‘legacy’ by the Congress government after independence and the so-called intellectuals volunteered to spread and consolidate this further. The British ruled many lands in those days and when they left them they played a trick. They declared certain people as ‘indigenous’ and others as ‘outsiders’. In the Indian context, they named all the tribal communities as ‘indigenous’ and rest of the Hindus as ‘outsiders’. This is the old game presented in a new form. The theory rejected by the world, defeated by the logic and proved untenable on scientific tests, is being presented again in a planned conspiracy hatched by the secular intellectuals and supported by the Church and the missionaries. The United Nations is only a medium to further this divisive cause. The only organisation that has raised its voice against this conspiracy is the Vanavasi Kalyan Ashram, supported by the RSS. They have realised the folly in this concept presented in an attractive manner that could appeal the simple people easily but have disastrous effects on the society. 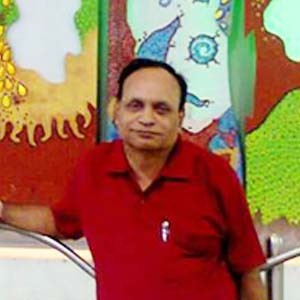 The Kalyan Ashram was the only organization that protested the UN move to differentiate people as indigenous and non-indigenous and submitted a memorandum to the then Prime Minister P V Narasimha Rao who fully agreed with the Vanvasi Kalyan Ashram’s views. Bharatiya Mazdoor Sangh (BMS) delegation to International Labour Organization (ILO) meeting in the UN had vehemently opposed the idea of indigenous peoples and stood firmly with their view that all Indians are indigenous people and Indian society cannot be divided into these two groups. Now suddenly, this issue is raked up by the Missionaries and Church sponsored organizations. Obviously, their intention is to create an atmosphere of instability and utilise the international platform to defame the Modi government. There is a need to understand the game plan behind celebrating such ‘days’. The developed countries of today had supported this concept because it was they who unleashed most inhuman and cruel atrocities on the indigenous peoples to the extent of completely wiping them out of the earth. They are now the developed nations. The western concepts are not applicable to the Indian social milieu. The day of indigenous people is a mirage. We must see through this divisive game and frustrate it with all our might. We were one, we are one and we will be one country-one people-one culture.